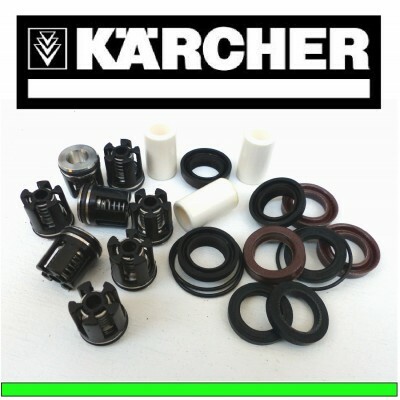 Karcher fit seals, valves and pistons, to fit many electric, petrol, and diesel pressure washers. NON OEM PISTON FOR KARCHER PUMPS 35mm LONG x 20mm DIAMETER INTERNAL DIAMETER : 10.2mm PART No. 15.. NON OEM REPAIR / SERVICE SEAL KIT FOR 3 PISTONS : 18mm diameter KIT CONTAINS : 3 x LOW PRESSURE SE.. NON OEM REPAIR / SERVICE SEAL KIT FOR 3 PISTONS : 22mm diameter KIT CONTAINS : &nb..